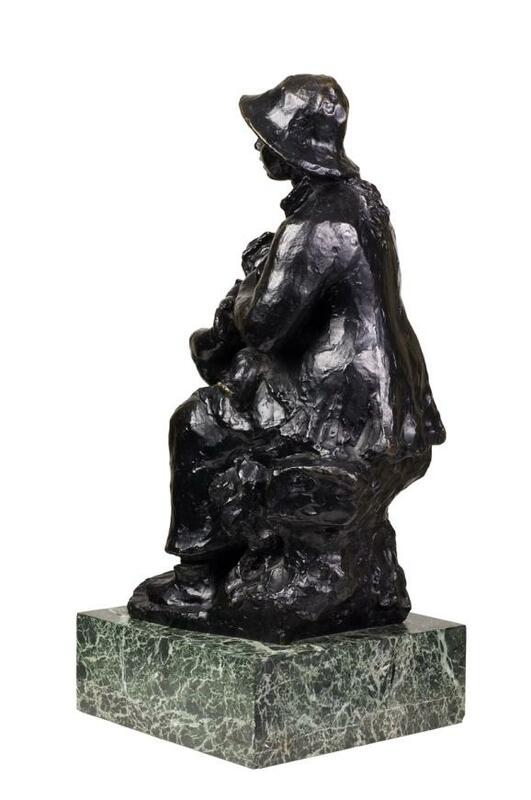 Some information excerpted from "Sister Wendy's Story of Painting." 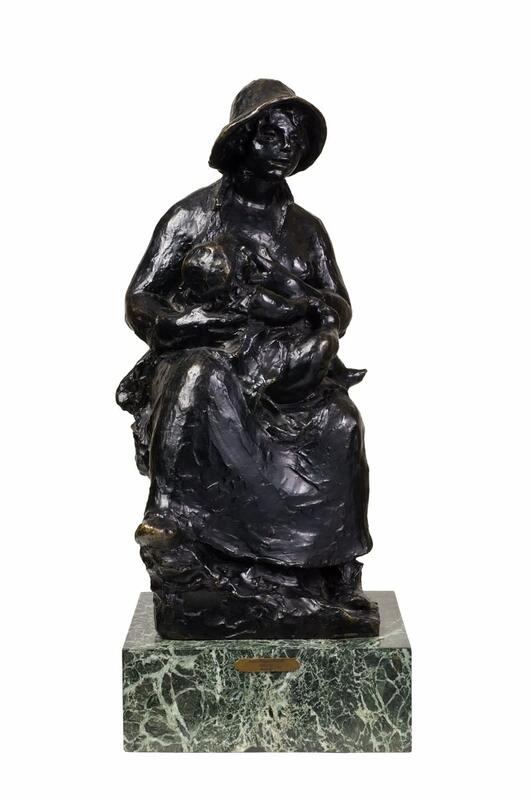 Maternité is an ode to Renoir’s wife, who died in 1915. 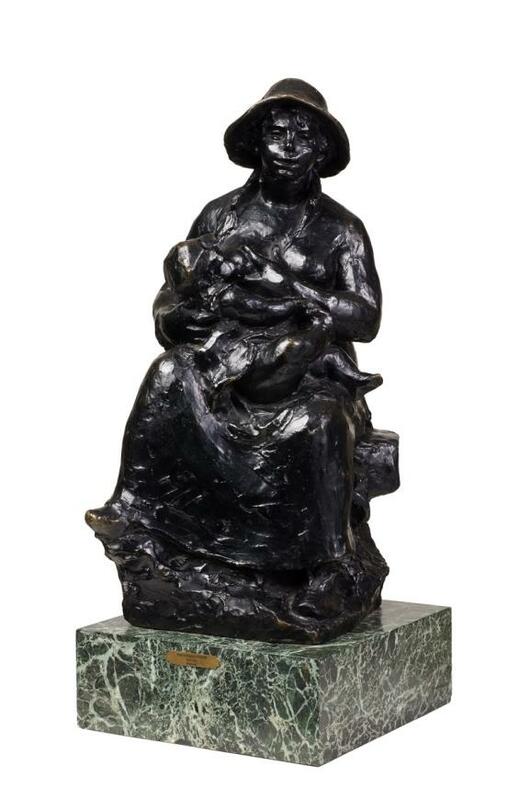 Aline had always been among his favorite models, often appearing in his paintings with her fresh, full face and figure. 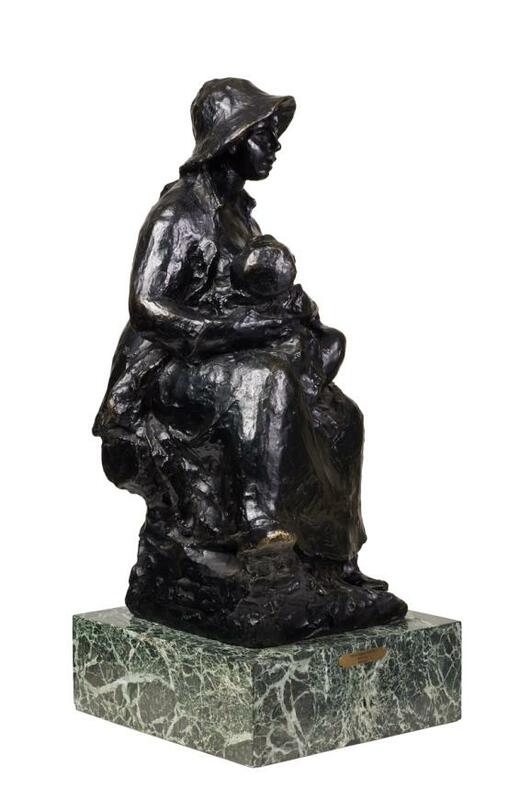 This sculpture is based on a portrait the artist had executed of his wife nursing their first-born son, Pierre, nearly thirty years earlier. 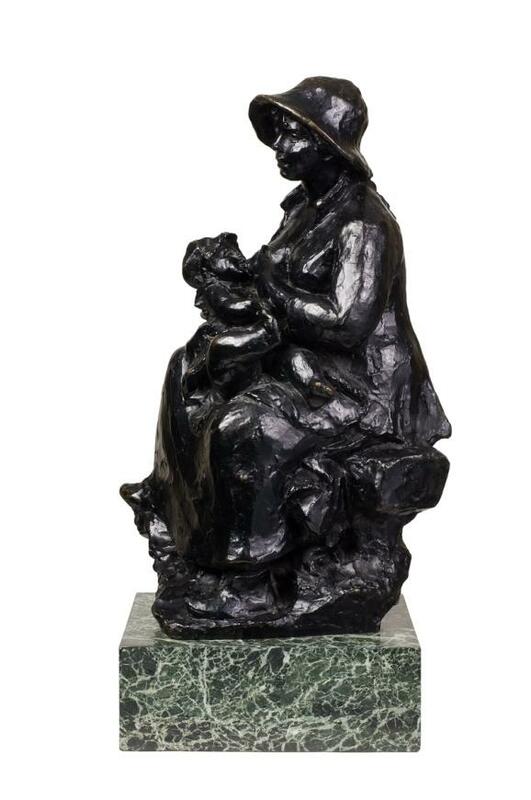 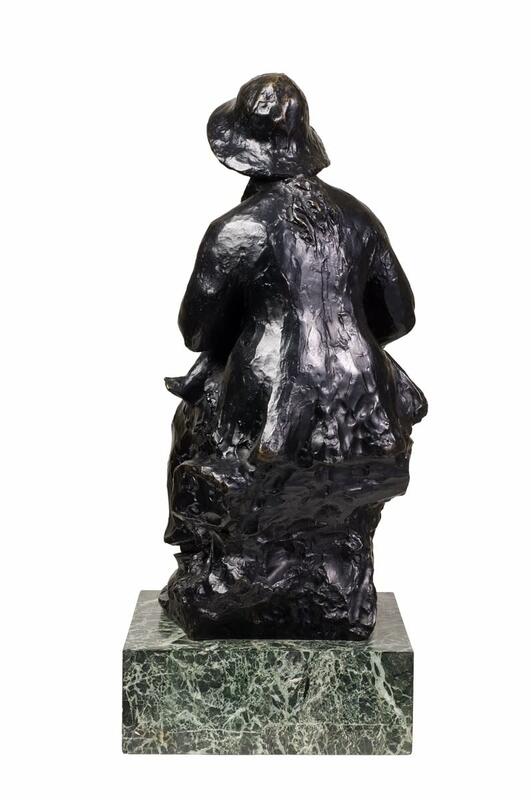 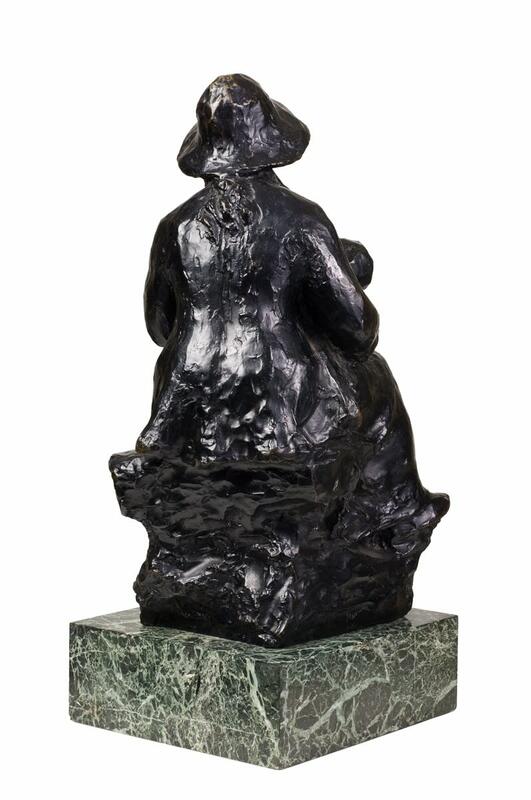 Nursing (Aline and her Son Pierre), 1886, portrays Aline dressed in a sunhat and seated in her garden, engaging the viewer while nursing her baby. 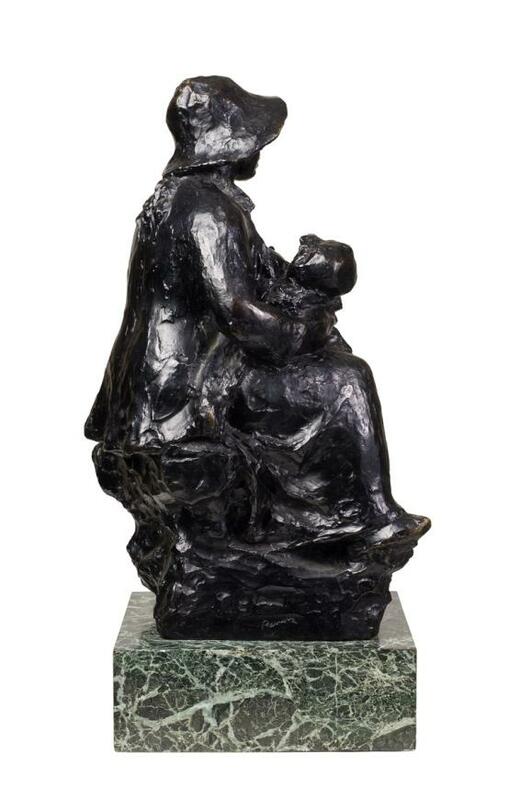 Renoir loved her natural, confident approach to motherhood, and likened this image of the maternal and the bond between mother and child, with the timelessness of nature.There is a full replica of Maternité in polychromed cement in the Renoir family garden at Cagnes-sur-Mer.